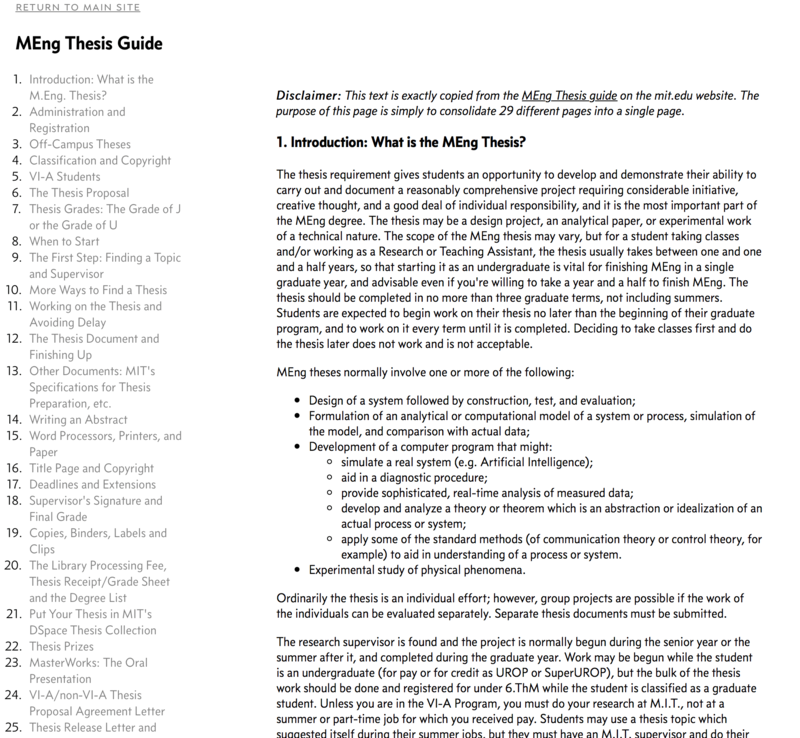 As I start my Masters in EECS at MIT, I often need to check back on the MIT Thesis Guide. A 29 part document outlining the requirements of the program. Unfortunately, it's quite annoying to use. Each page is split into a different URL. Which means there's no easy way to search the entire Guide, and there's no way to read the entire document easily. So I have recreated the Guide, along with a useful navigation guide, here: http://kennethfriedman.org/mit/thesis-guide.